We thought about not writing about this issue since so many others did but, then we thought, last August CBS-Pittsburgh awarded us “Blogger of the Year” award.. AND USED OUR NAME. Then, last week we got all “pee pants” excited when Pittsburgh Magazine announced that we were recognized as their 2012 “Best Local Blogger” in the readers’ poll AND THEY USED OUR NAME. So we figured, now that there is a ban on the term “Jagoff” at the “News Paper Whose Name Is Now Banned By Us” there is ZERO possibility of winning any type of award there soooooooooooooooooo here’s our post. The “deets” in case you missed them. Then THAT led to the Pittsburgh City Paper’s Chris Potter writing an inside-back-cover full page about the history of the word Jagoff then a national media monitoring blogger, Jim Romenesko to post something about how silly this “ban” is. Finally, Beaver County Times writer, J.D. Prose, used the issue to call out some political jagoffs. So here we are. What to do? We’re not about calling anyone at the “News Paper Whose Name Is Now Banned By Us.” Their writing staff can be pretty cool. As evidenced by someone in their company leaking this silly memo. 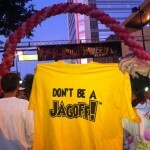 We need to ban together and figure out how we can get the word “Jagoff” into the “News Paper Whose Name Is Now Banned By Us.” Might it be one of our followers placing a CLASSIFIED AD for a garage item or job or whether it be a company that sells mirrors that writes this into their ad, FFOGAJ so that , when you hold it in a mirror, you see it. First follower to verify some type of sneaky placement gets a $100 gift card from us. In the meantime to Mr. Shribman of the “News Paper Whose Name Is Now Banned By Us,” LIGHTEN UP, especially with how the term “Jagoff” was used in the original article…. (waaaait for it)…..Ya Jagoff!!! FYI, we totally realize that our “ban” will have zero affect on the “News Paper Whose Name Is Now Banned By Us” but it was FUN to write. These terms may be slightly suggestive, therefore completely offensive and should be banned from the publication in question. I felt dirty even writing this email, but I felt it was necessary to ban these words to infringe on the Constitutional Rights of others. Well, you can put an add in paper that reads. Jaguar for sale, low mileage, great condition. Got the Jag off from my dad he hardly road it! Please call if interested to etc.etc. 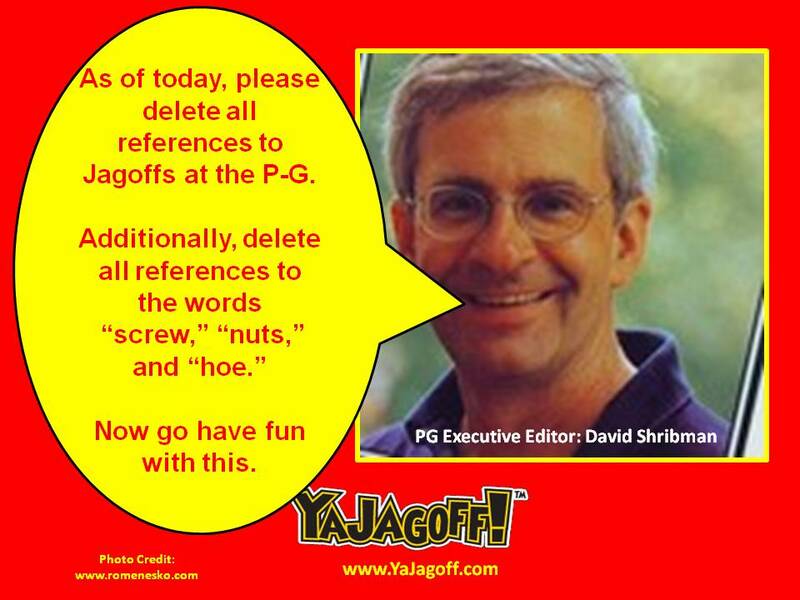 The word shribman should now officially be banned because it is a euphemism for jagoff !!! It would seem the use of “grass” should be stopped as it suggests drug use, as would “baked.” “Stones,” “wiener,” “sausage” and “Flyer Fans,” must also be banned as they could paint a picture of male genital to the more sensitive readers of postgajagoff. All news from “Beaver” county must be banned! the desire?.I’m attempting to find issues to enhance my site!I guess its ok to make use of a few of your ideas! !